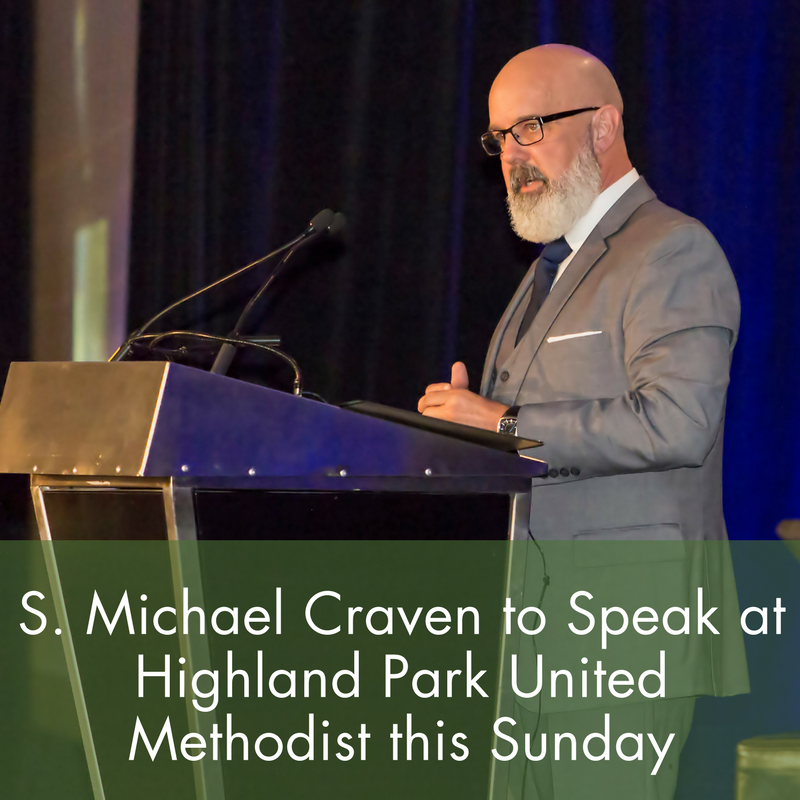 Michael will speaking to the Fellowship Class at Highland Park United Methodist Church located at 3300 Mockingbird Ln., Dallas, TX on Sunday, January 21st from 9:30 to 10:30. He will be sharing his personal journey from corporate CEO to ministry leader as well as his insights into poverty; what it is, what it isn’t and how the church offers the only real and lasting hope for the poor. Prior to joining BridgeBuilders, S. Michael Craven was the president and founder of the Center for Christ & Culture where he worked for more than fourteen years, challenging the spiritual apathy and theological vacuity of the church through serious research, writing, teaching and speaking. His thoughtful commentaries on the intersection of faith and culture reached more than two million readers each week through syndication on Crosswalk.com, Christianity.com, The Christian Post and numerous other media outlets. In addition, to Michael’s weekly commentaries and thoughtful essays, he published his critically acclaimed book, Uncompromised Faith: Overcoming Our Culturalized Christianity with NavPress in 2009. Uncompromised Faith has been used to help countless Christians experience freedom from the prevailing cultural influences that have diminished the magnitude and power of God’s life-giving grace in the late 20th Century American context. If you’d like Michael to speak at your church or event, please click here to contact his assistant, Pam de Armas.